In Greek – adámas – means unbreakable. Diamonds are the oldest gemstones and hardest raw materials on earth, which are also used for decorative purposes. Diamonds consist of crystallized carbon, which was created millions of years ago under immense heat (about 1,250°) under high pressure (40-60 atmospheres) at a depth of 150-200 km, in the melting pot of glowing lava. Volcanic eruptions threw the raw crystals to the surface. Most diamonds are over 100 million years old. The unit of weight by which a diamond is measured. 1 carat is one fifth of a gram (0.2 g). A 1-carat diamond weighs 100 points. Ct is the abbreviation. Diamonds are natural stones and each diamond comes in unique internal and external characteristics. In addition to its size and colour, birthmarks inside the diamond also determine its characteristics. The value of a diamond is based on the combination of these qualities. The four important characteristics that are used to classify a diamond are known as the “4Cs of the diamond”: Colour, Clarity, Cut and Carat. These characteristics are evaluated by diamond professionals and often documented in detail. This document is called grading report or diamond certificate. Diamond certificates are important as they show the quality and the value of the diamond on your jewellery. 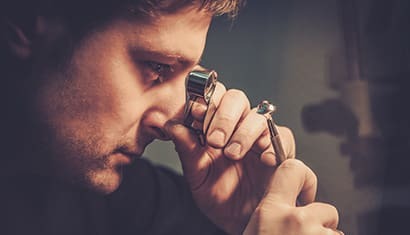 All GL diamonds are carefully selected from fully credible diamond suppliers in the participant-countries of the Kimberley Process.GL certified diamonds are in H Colour, VS clarity and Very Good cut. GLAMIRA provides GIA certified diamonds as well as GL certified diamonds. There are many local and international diamond grading institutes that provide diamond certificates such as GIA, HRD, IGI, AGS, etc. 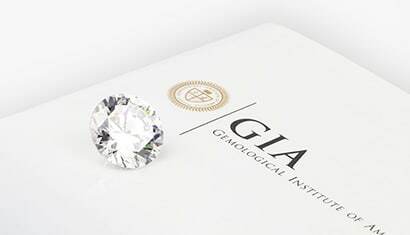 GIA (Gemological Institute of America), a nonprofit institute in the field of gemology, is the most widely known and respected diamond grading institute in the world.GLAMIRA gives you a choice of ordering your product with a GIA certified diamond, where you can customise the colour, clarity and cut of the diamond to be used on your setting.